Having lived overseas in places where the sun shines warmly every day (sigh) and there are only two seasons to live in, there were times when I really missed seeing the four seasons. Here in Scotland the seasonal changes seem so beautifully apparent. Perhaps it’s because the countryside is so breathtakingly stunning here or maybe it’s because we’re living closer to nature. We certainly enjoy the slower pace of life where we can watch the leaves change colour, where the light is golden and the air is crisp. 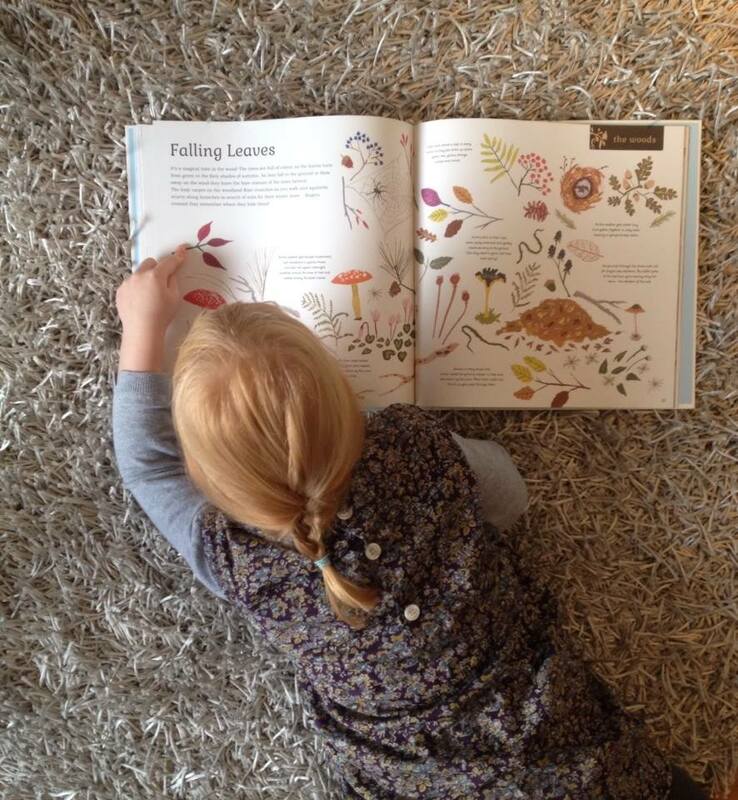 We’re loving autumn and I’ve noticed that the girls have really embraced the season here so I wanted to share with you some of the ways we’ve brought autumn into our home through the books we read, the food we bake and the crafts we’ve made from some of our forest foraging collections. 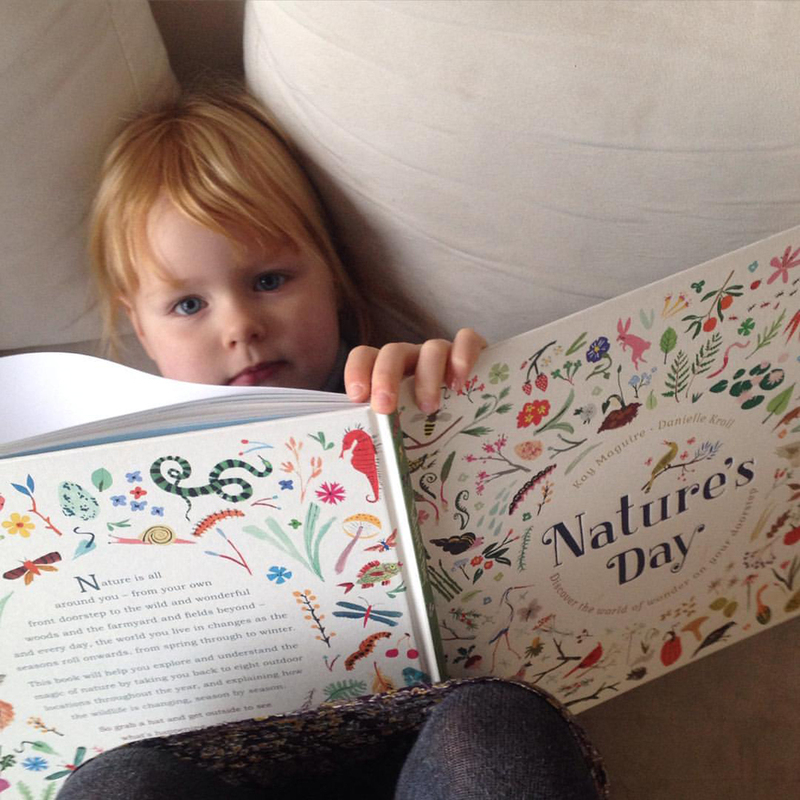 I discovered the book Nature’s Day at The ShopUp last year and was thrilled to see a book which captures the magic of the seasons so well. The intricate bright sketchings by Danielle Kroll and the gentle writing by Kay Maguire encourages children of all ages to enjoy nature everywhere. We’ve been enjoying cosy days reading this book together pointing to the mushrooms in the book which we spotted on our walks. One Sunday we made a special cake and chose autumn fruits and edible flowers to decorate it. The smell of pumkpin, cinnamon and cloves drifted through the house and it was super delicious. The recipe was adapted from Amy-Beth Ellice’s spiced pumpkin bundt cake found here. 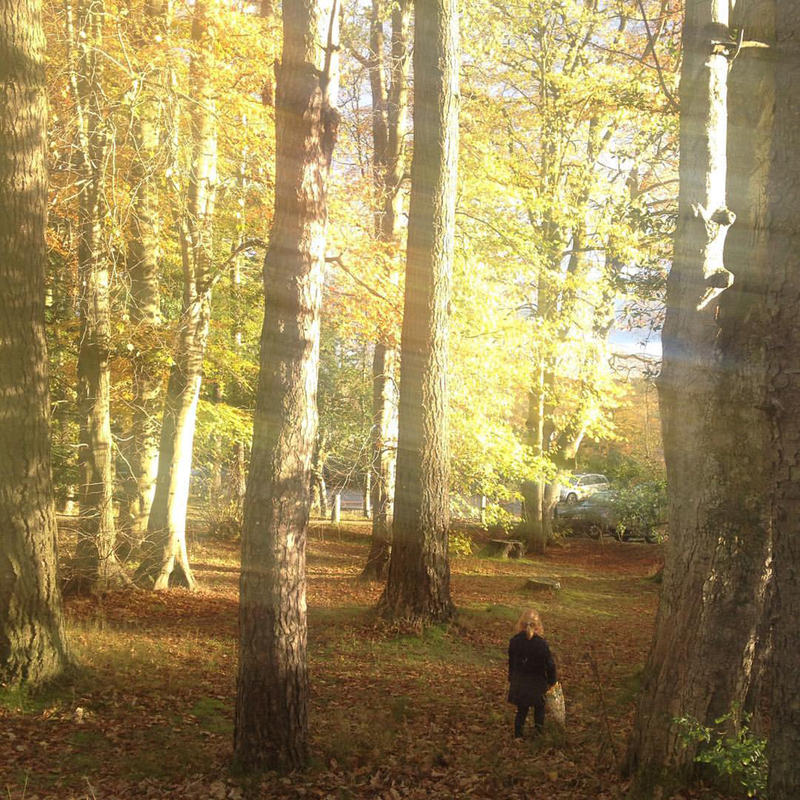 I love foraging with the girls and although it’s on a very simple level we manage to gather some pretty collections. One of my favourite books is The Wreath Recipe and it was there I found the inspiration to make a sweet woodland garland with the girls. It was so super simple to make; just with a needle and some thin twine we threaded through leaves, mushrooms and moss and hung it in our living room using washi tape. It was so effective and has lasted a while. 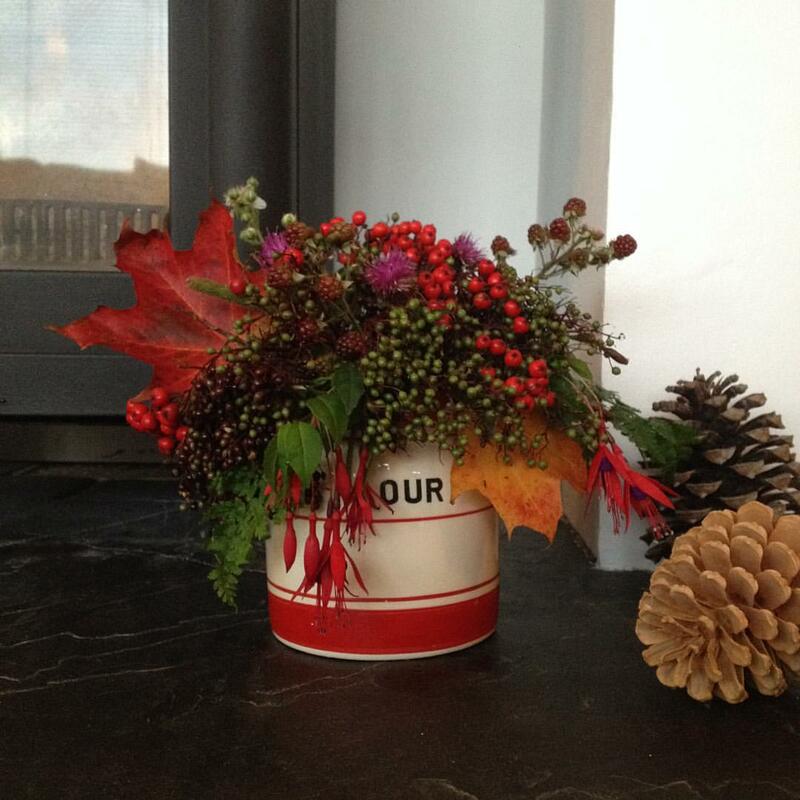 With the rest of our findings I made a small bouqet for the fireplace. With these small and quick crafts we brought autumn into our home and continue to enjoy those cosy slower days.